What can formulaic expression tell us about media and social change? For one thing, to study technology users rather than technologies, says John Postill in a recent article. There’s a new article out from John Postill in the latest issue of Convergence that may be relevant to the study of the roles digital media played (and continue to play) in the Egyptian revolution. John’s project is to study the relationship between Internet activism and post-2008 protest movements generally. John does not look at Egypt, alas. Instead he draws on his own anthropological fieldwork in Spain, and on secondary literature about uprisings in Tunisia and Iceland. Freedom technologist refers to social actors who combine technological and political skills to pursue greater Internet and democratic freedoms (which they typically see as inextricably linked). Protest formulas refers to the unique compound of societal forces and outcomes that characterizes each protest movement – as well as each phase or initiative within a movement. The first term is clearly an effort to categorize and describe Internet activists in ways that are not embedded in the prescriptive narratives that dominate many discussions in this realm, such as those who dismiss Internet activists as techno-utopians or ‘slacktivists’. 4. Cyberanarchists: freedom technologists who espouse the use of cryptography to prevent government control and regulation of the Internet and of free speech. They organize themselves in political innovation commons with the objective of subverting existing political structures and, in the process, creating new, non-territorial polities. This suggests that the types are not structural but incidental. We may find many more different kinds of freedom technologists as we engage in empirical description of contemporary protest movements. This brings us to the second key concept, protest formula. Protest formulas represents John’s effort to capture the structure and process of revolutionary movements, along the lines of Victor Turner’s social drama analysis, while capturing the unique aspects of contingency and context that make each protest movement unique. By protest formulas John literally means formulas, that is characters representing peoples, institutions and ends that, when grouped together, lay bare the relationships that matter, ala Talcott Parson’s imagined social calculus. 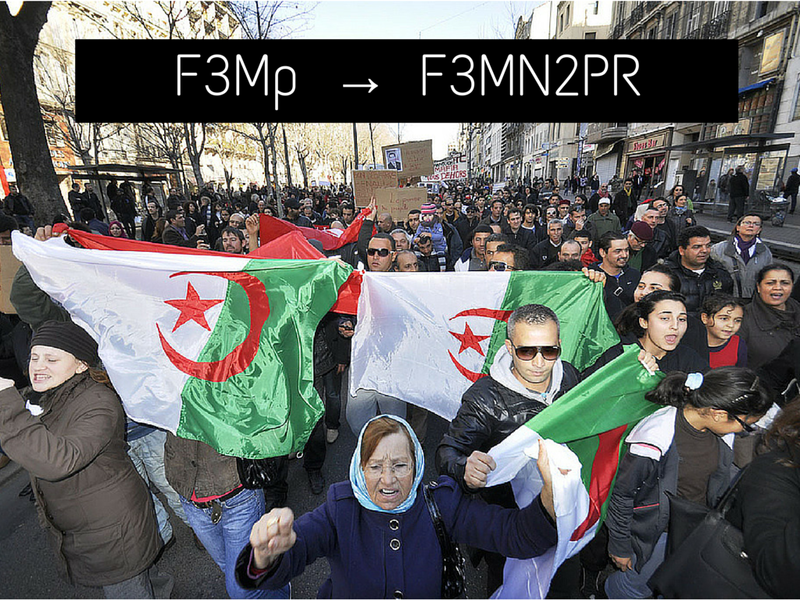 the movement was led by all three main types of freedom technologist (F3) who formed a fluid, dynamic coalition with a mixed sector of tech and non-tech specialists (M), including intellectuals, scientists and teachers, but with the conspicuous absence – when compared with movements elsewhere – of trade unionists, politicians and other non-freedom technologists (N) taking up leadership roles against the regime. The formula also contains the lowercase p (i.e. the protesters failed to mobilize the entire Spanish population) but lacking to date the crucial ingredient of reform (r) or regime change (R). Instead, what we find is a richly experimental (E) period for Spain’s freedom technologists and their allies … which have scored a number of institutional goals (g), such as prosecuting the banker Rodrigo Rato or preventing the eviction of thousands of families unable to repay their mortgages (Romanos, 2013). To be sure, these experiments and goals signal a reinvigorated civil society but they must be analytically distinguished from systemic reforms (r) and revolutions (R). While I am not persuaded by John’s formulas–or even the utility of such a thing–I am impressed by how this clarifies exactly what it is he sees as the essential relationships in new media, social movements and change. The really important shift here, though, is from trying to study technologies in terms of the ways their “affordances” create liberatory opportunities (as in the endless utopian/dystopian arguments) to studying :freedom technologists,” that is, active agents striving for social and political change.